Our website brings customers from across the country and further afield, especially if they are looking for a beautifully crafted, bespoke piece of jewellery. Last September we had one such enquiry from a lovely customer in Clare who was in search of a high-quality locket. She had looked everywhere but could only find flimsy, mass-produced lockets which she had no interest in. We started the process by chatting over the phone and sending images by email which was great to get the ball rolling. However, there is nothing like meeting in person to really get a feeling for tastes and personal preferences. We met in the shop in October and discussed the project in detail – I was able to show samples of metal weight, colour, chain style, chain length, etc. It meant that I had a very clear idea of what the finished piece should look like and our customer had confidence in proceeding with the piece, as she knew, from being in the store, we only produce high-quality work. 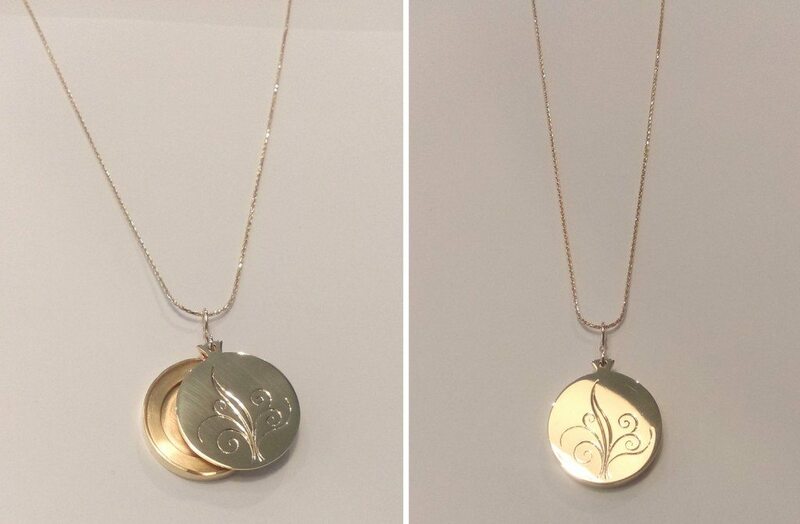 We wanted to streamline the locket – to keep it really simple without fussy hinges and catches. 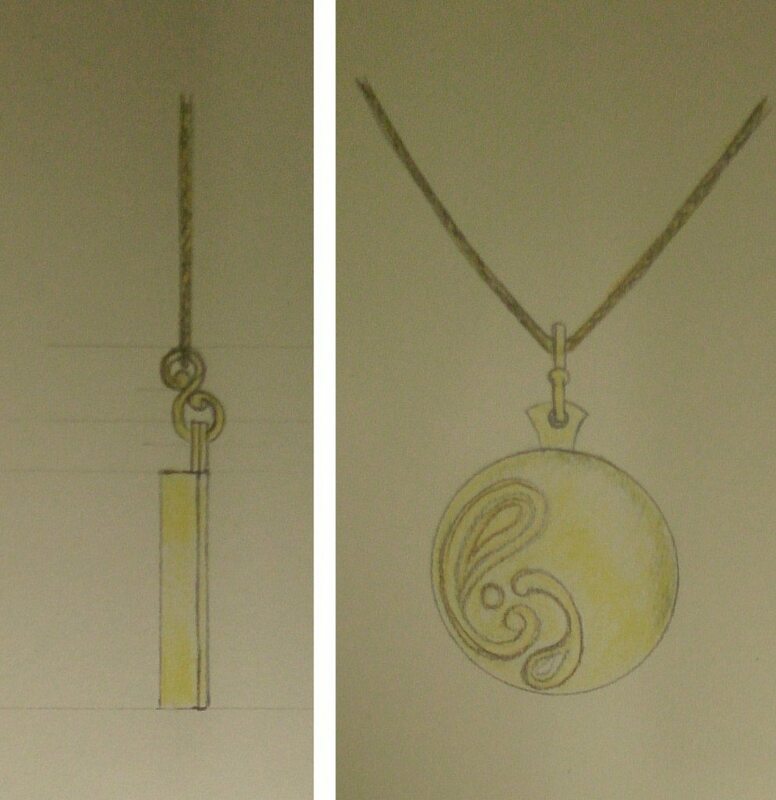 Myself and Jemma sat down with a piece of paper and a pencil and worked out the nicest design to make an elegant locket while ensuring the piece would stay closed and, in turn, keep the photos inside safe. Jemma then went on to do some beautiful sketches to illustrate to the customer what the finished piece would look like. We ordered the metal required, in this case a sheet of gold, and got to work. 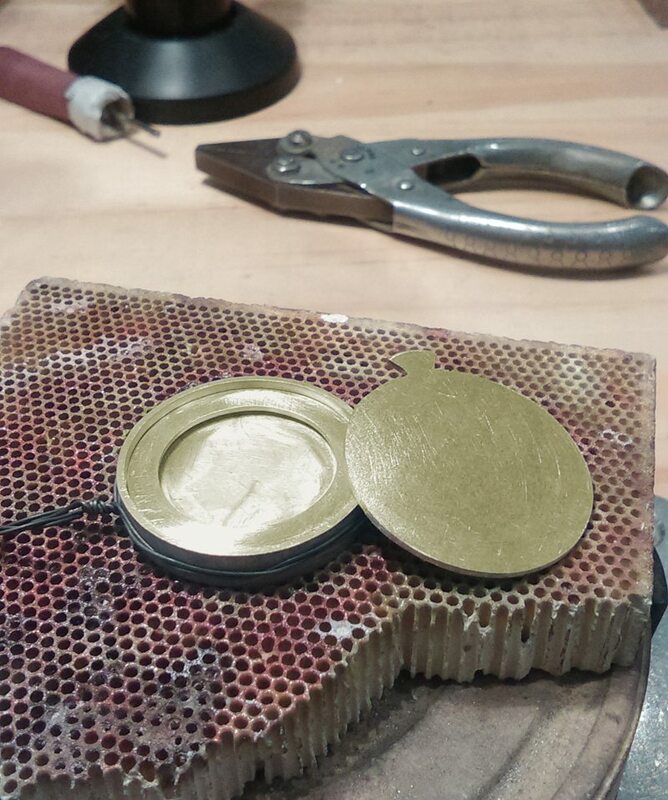 Using a saw, the gold was cut into a disc for the lid, a long strip to make the outer surround and two discs with the centers cut out to hold the photo in place. It was the ultimate test in precision making sure that all of the pieces were cut and filed to the exact size and then soldered together perfectly. 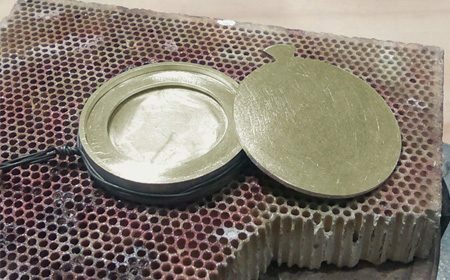 A rim was soldered in place on the back of the lid so that the locket stays firmly closed when being worn and a tiny groove was cut to make it a little easier to open when needed. A decorative bail (part of the pendant that a chain runs through) was added and the piece was sanded and finally polished. If you have any ideas for a bespoke design that you would like to discuss, please get in touch!